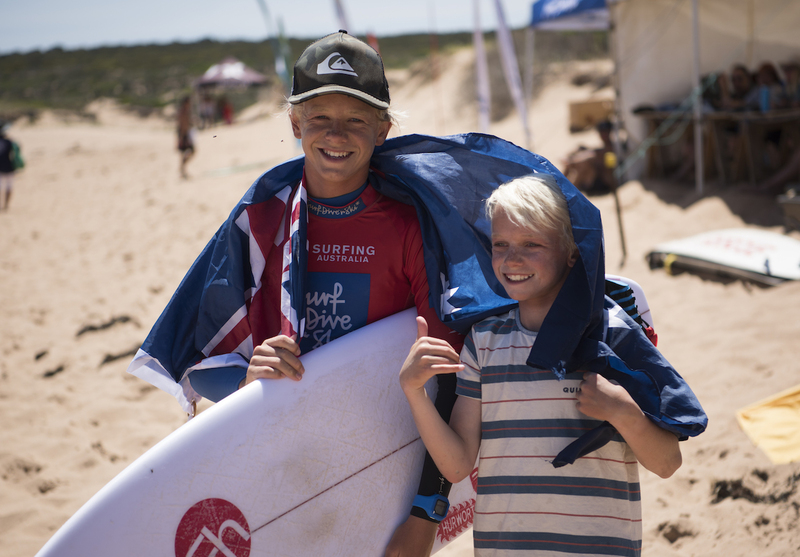 WAITPINGA/SOUTH AUSTRALIA(December 6th/2018): It was all about the Under 14’s and 16’s divisions today at Waitpinga Beach with South Australia again providing excellent conditions with 1-2ft mechanical left-handers peeling through the line-up for the majority of the day. 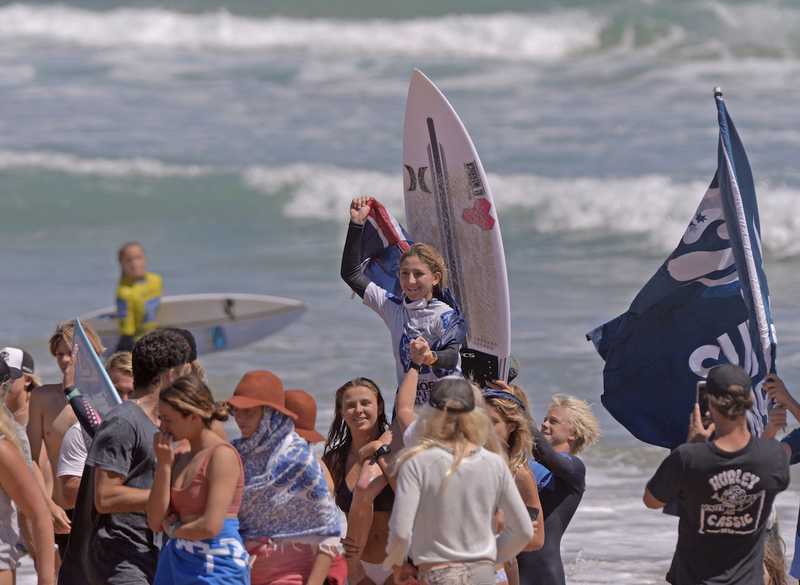 The Under 16’s Boys and Girls finals were high quality affairs with all eight finalists showing why they are Australia’s best. Joel Vaughan put on a clinical display in the boys final whilst Cedar Leigh-Jones won a tight battle, overcoming Ellia Smith by .05 of a point in a classic back and forth tussle. 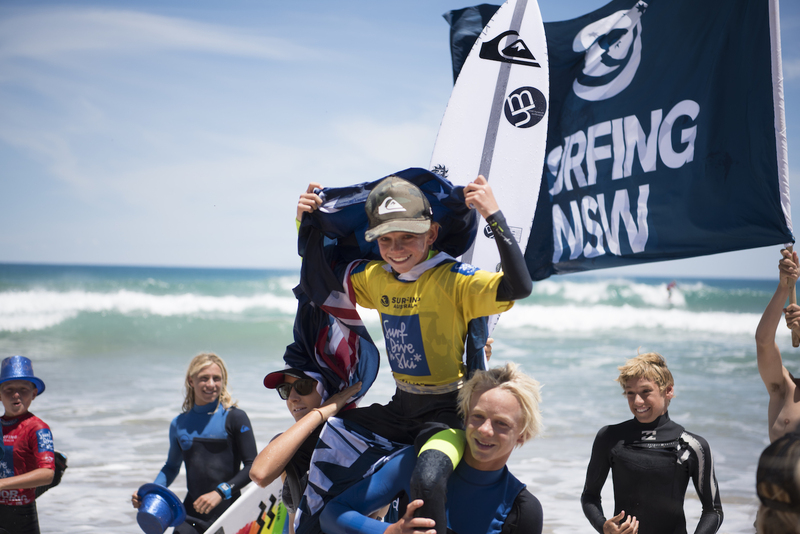 New Under 14 Boys and Girls Surf Dive ‘n Ski Australian Junior Surfing Champions were crowned with Hugh Vaughan (NSW) and Ellie Harrison (VIC) taking home bragging rights. The Under 14 Girls final was the highlight of the day with Harrison and Zali Hewson (WA) going wave for wave with rides in the excellent range and both competitors ending the heat with 18 point heat totals. The event is set to wrap up tomorrow with the remainder of the age divisions finals to be decided along with all School Sport Divisions. 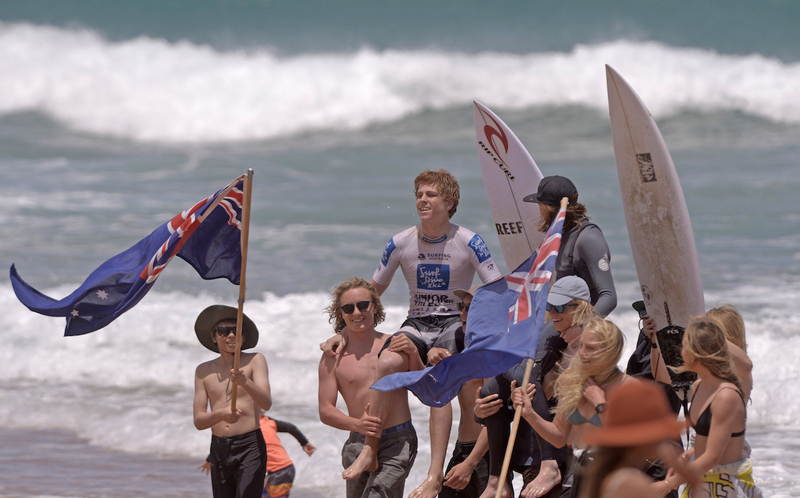 The Surf Dive n Ski Australian Junior Surfing Titles features the Australian Junior Titles and the Australian School Surfing Titles.